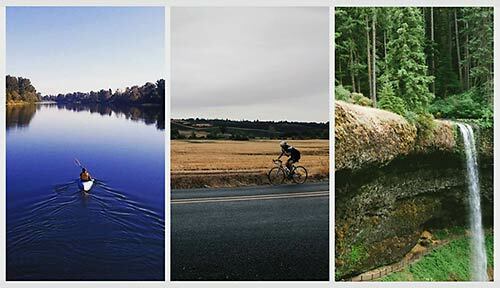 Travel Salem announces that outdoor enthusiasts will have their chance to paddle the Willamette River, bike through Mid-Willamette Valley farmland and hike past the rushing waterfalls of Silver Falls State Park as part of the second Salem River 2 Ridge Relay – a unique, multi-sport taking place around Oregon’s capital city on Sunday, September 16, 2018. The Salem River 2 Ridge Relay is the first event of its kind held in the United States. It is modeled after Japan’s popular SEA TO SUMMIT events, in which participants kayak across the sea, bicycle through the countryside and hike up a mountain. SEA TO SUMMIT is the brainchild of Isamu Tatsuno, CEO of Montbell outdoor clothing and equipment company, and encourages participants to reflect on the importance of nature while helping to revitalize local areas through outdoor activities. In 2015, former City of Salem Mayor Anna Peterson and Onyewuchi traveled to Kaike Daisen, Japan to take part in a SEA TO SUMMIT event and research the feasibility of producing a “sister” event in the Salem area. They returned with a plan for hosting the first Salem River 2 Ridge Relay as a unique way of showcasing the region’s outdoor assets. The inaugural River 2 Ridge event occurred on September 15, 2017 and drew 140 participants. The 2018 Salem River to Ridge Relay begins at 8 a.m. on Sunday, September 16. 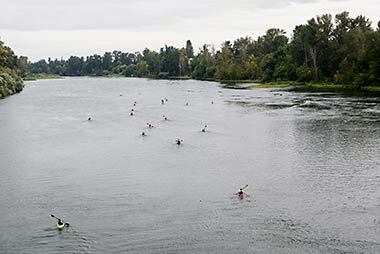 The first leg is a 6.2-mile paddle on the Willamette River, starting at Riverfront Park in downtown Salem. 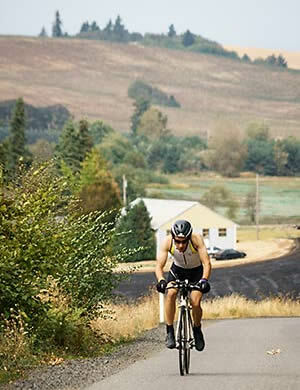 The second leg consists of a 40.3-mile scenic bike ride on quiet country roads with minimal traffic. 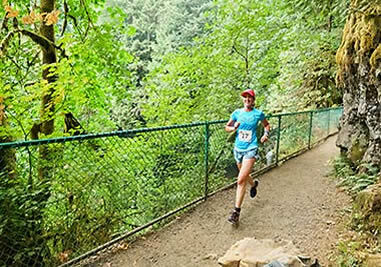 The third and final leg takes competitors on a 5.8-mile loop through the old growth forests of Silver Falls State Park, passing several breathtaking waterfalls along the way. The approximate time expected to complete the event is four to seven hours, depending on skill level. 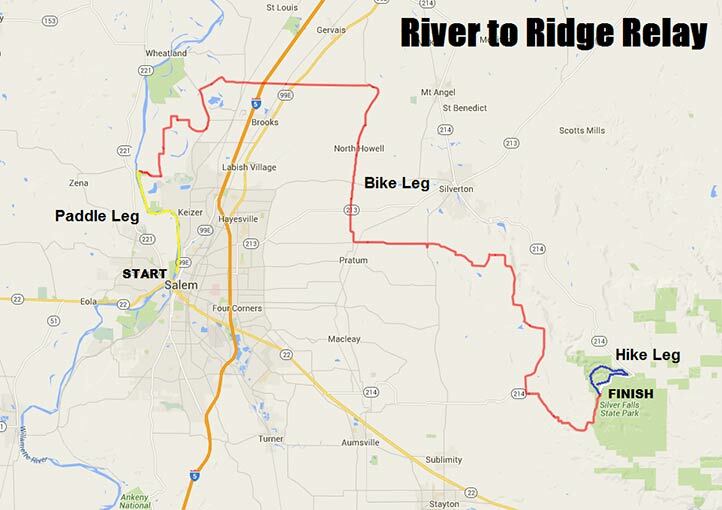 Participants are welcome to compete in River 2 Ridge as a two or three-person team or as an individual. Bicycles and/or kayaks are available for rent; all equipment rentals will be delivered and ready to go at the appropriate starting points. 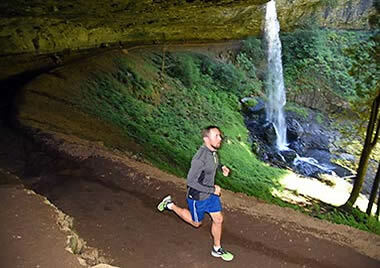 A catered after-party will be held at Silver Falls State Park featuring local food, craft beverages and live music. The Salem River 2 Ridge Relay is sponsored by the City of Salem and Travel Salem, with support from Breakaway Promotions. The cost to participate ranges from $90 - $120 per individual or $160- $200 per team. 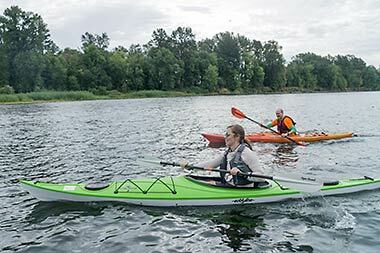 Participants will have the option to add on equipment rentals (kayaks and/or bicycles), which will be delivered to the race site. Overnight lodging packages are also available. To register and for more information, go to www.SalemRiver2Ridge.com.